Address 9390 N. Santa Monica Bl. 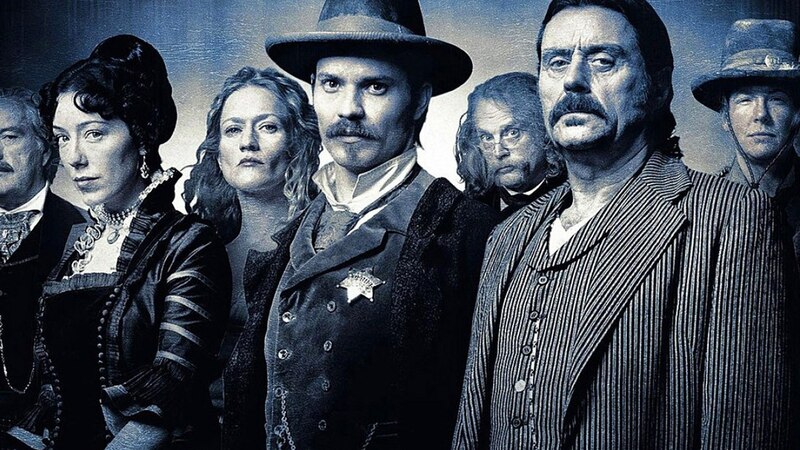 Friday, May 31 on HBO, the profanity-prone denizens of Deadwood will take to our screens once again, as creator David Milch concludes his Western opus. With nearly the entire cast returning, this long-awaited follow up to the original series is sure to be a major television event. On April 23, Film Independent Presents brings cast and crew to the Wallis Annenberg Center for the Performing Arts in Beverly Hills for a special one-night only event. Moderated by Elvis Mitchell, clips from the first three seasons will be shown as the show’s stars discuss playing their iconic characters. With its anachronistic take on profanity in the rugged West, Deadwood continues to thrill audiences, even after almost thirteen years off the air. This installment of An Evening With… will undoubtedly do the same, giving all in attendance an unprecedented behind-the-scenes look at one of HBO’s most acclaimed series. Arts Circle Members receive access to the Founder’s Room, including complimentary beverages, one hour prior to showtime. $30 for Film Independent Members, limit two tickets per Membership. Proof of Member status is required to reserve tickets at the Member price. $50 for the general public, limit two tickets per order. Members will have early access to tickets starting at 12:00 pm on Monday, April 8. Tickets will be available to the general public starting at 12:00 pm on Wednesday, April 10. Don’t miss out! Become a Member today. For additional information, or to get in touch with The Wallis box office, visit thewallis.org/contactus. Print-at-home: The Wallis offers a print-at-home option during checkout. On the night of the event, bypass the Box Office and go directly to the ticket taker with your print-at-home ticket(s). On-site pickup: Pre-reserved tickets for this event can be picked up at The Wallis Box Office on the day of the event, as early as 5:30 PM. Ticketed guests must be in their seat at the advertised start time of the event or seat(s) may be released. All ticket sales are final; no refunds or exchanges. Program and guest participation subject to change or cancellation without prior notice. Tickets are nontransferable and can only be picked up by the individual who purchased or reserved them. Parking is available in the underground garage (450 N. Crescent Dr.) with entrances on Crescent Dr. and S. Santa Monica Blvd. Valet parking is also available (operated by the City of Beverly Hills) and can be accessed by entering the Arrival Court from Canon Dr.
View directions/additional info at thewallis.org.